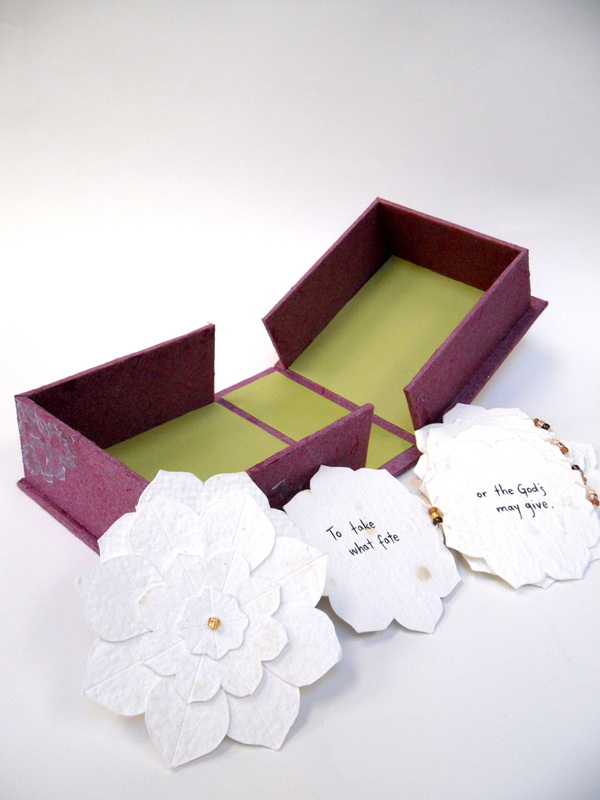 The Daisy Chain Box Edition was inspired by a quote from F. Scott Fitzgerald's This Side of Paradise. The 'books' are an edition of 5 drop spine boxes with a chain of flower booklets inside, inscribed with the quote. 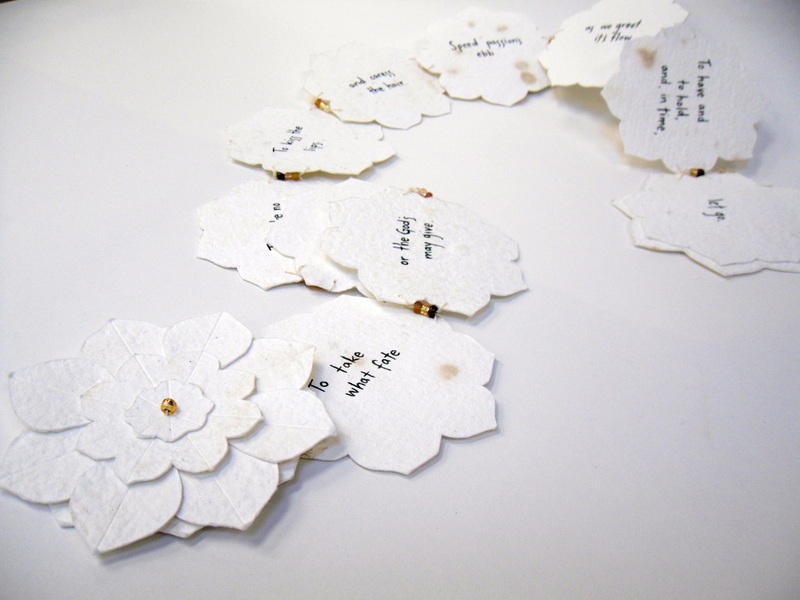 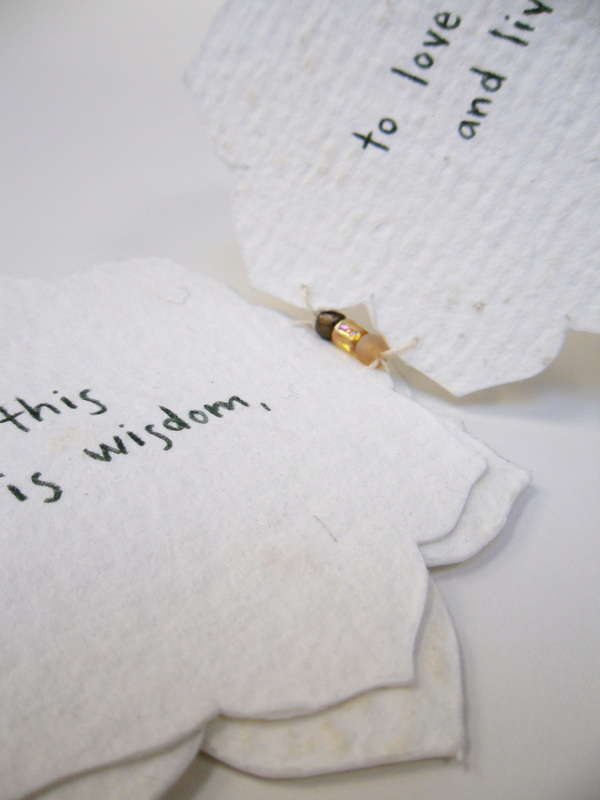 The booklets are made of hand-cut flowers from handmade paper and bound with embroidery thread with seed bead accents. 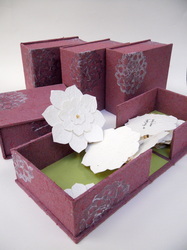 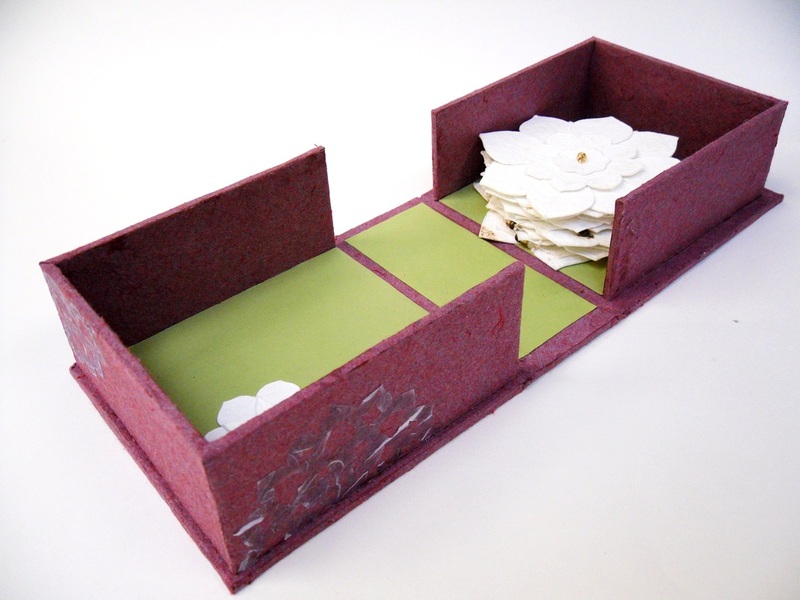 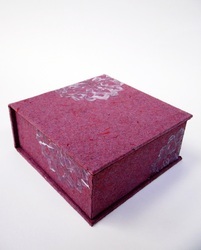 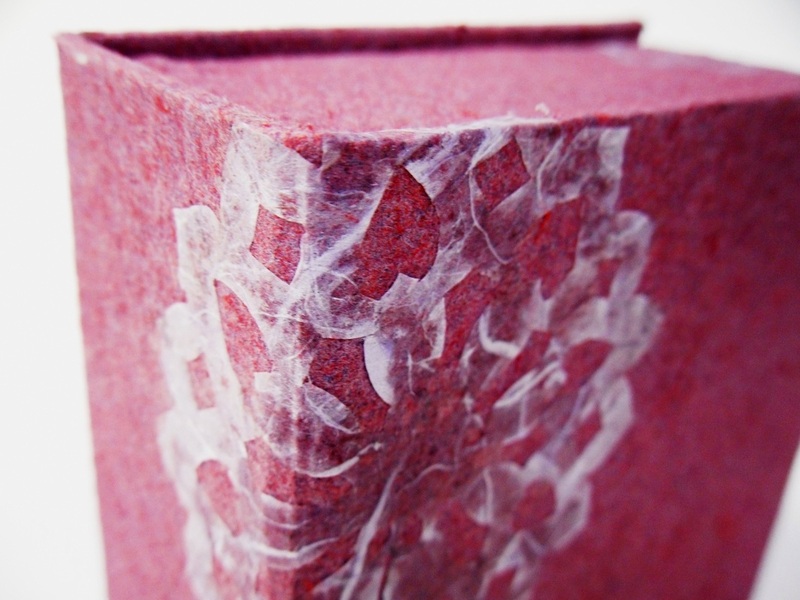 The boxes are covered in purple handmade paper with details in other handmade papers. 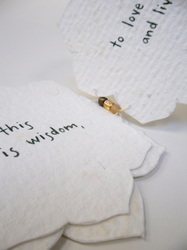 "For this is wisdom, to love and live, to take what fate or the God may give. 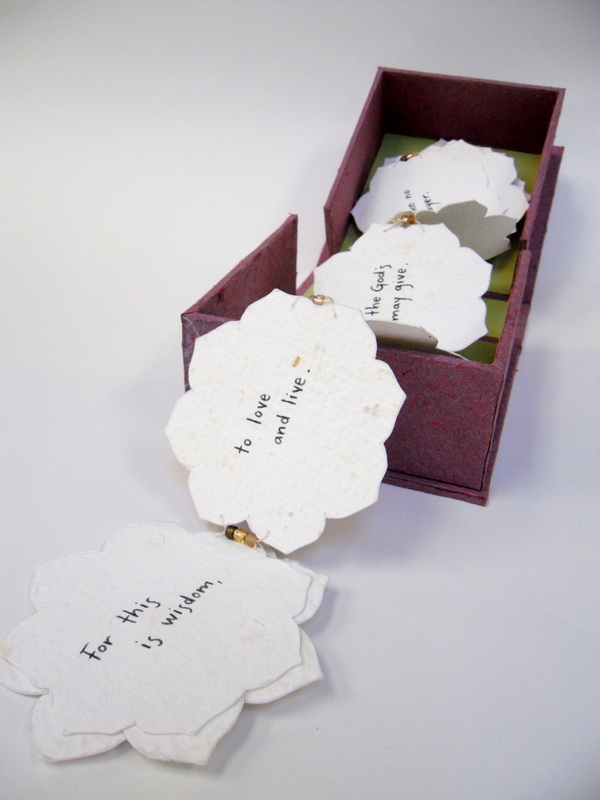 To ask no question, to make no prayer, to kiss the lips and caress the hair. 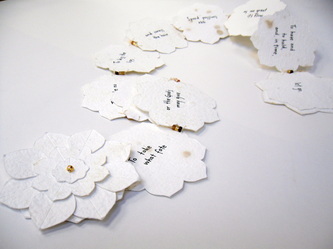 Speed passions ebb as we greet it's flow. 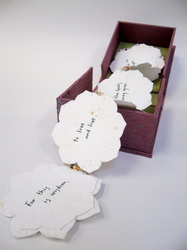 To have and to hold and in time let go."